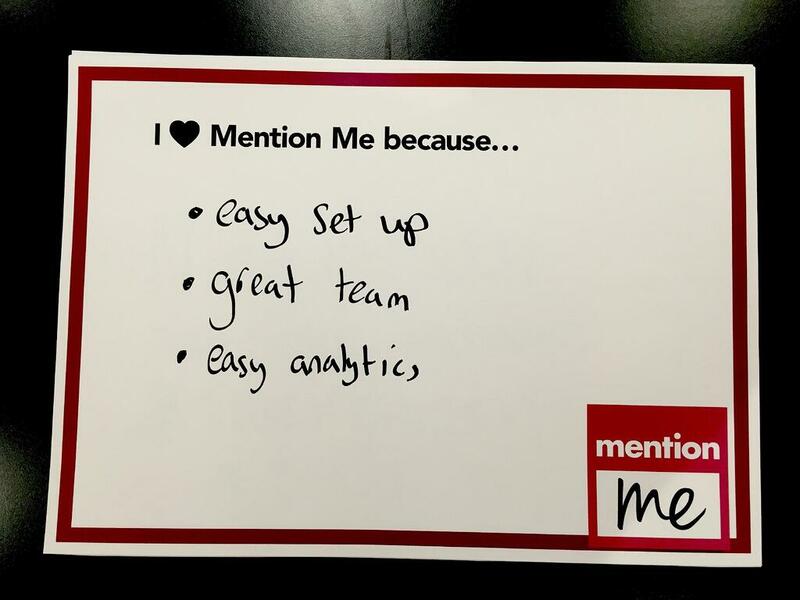 A few weeks ago the team at Mention Me celebrated signing our 100th client. And given that we've just moved to an amazing new office near Oval, there had to be a cricket pun in there somewhere about scoring a century. We've been running over 100 brand level referral programs for a while now, helping clients set up the referral channel on a multi-brand basis within their businesses to drive new customer acquisition. However reaching 100 companies felt like a real milestone in our young life, a testimony to all the things that make Mention Me not just a great partner for our clients, but also positioning us as one of the world's leading players in the referral marketing space. And that's 100 companies who believe that Mention Me is the best and only choice for a referral marketing program. So why do clients choose Mention Me as their partner for referral marketing? I've probably just answered my own question there - because we are just that, a partner, a team of trusted advisors who bring subject matter expertise to the table, along with a world class SAAS platform of course. If you're thinking of outsourcing referral and you're looking for a 'tech vendor' then we probably haven't spoken. We'd never want you to think of us like that, mainly because what we do isn't just about throwing some software over the wall and hoping you'll be ok with it. It's about bringing thousands of hours working on successful referral programs to the table and leveraging this insight to help you reach your business goals. From new customer acquisition and lead generation to building loyalty and customer engagement, we help you every step of the way. Moreover what our clients love about Mention Me is the sense of security they get from us. They know, that we know what we're doing and we always do it well for them, from setting up their programs for an impactful start, through to AB testing of offers to make sure that they're not unnecessarily eroding margin. 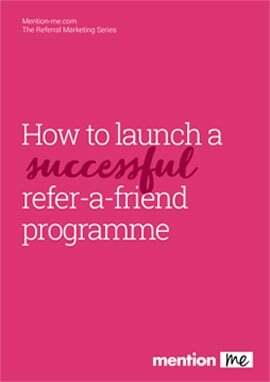 Think how devastated you'd feel if you discovered, after the fact, that you'd given away excessive discounts, free gifts or profit just to achieve the same level of customer engagement on referral as you would have if you'd done less. Without AB testing this opens up significant risk, which Mention Me clients don't have to worry about. As you may have gathered I love my job, love what we do and wholly believe in our product and service, based on what I see everyday. If you're ready to start your company's referral journey, then look no further than Mention Me, because we are the referral experts.